Mr. Hiestand is a graduate of the University of California Law School, Berkeley. He has helped write and get enacted federal and state laws on health care, unfair competition, personal injury, professional and product liability and rights of Native Americans. He has written briefs as counsel in hundreds of reported federal and state appellate cases, including oral argument many times before the California Supreme Court. He consults with and advises a wide range of clients, including elected officials from all levels of government. 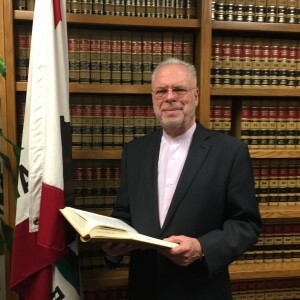 Current and past positions include General Counsel, Civil Justice Association of California, 1978-present; member, Alcoholic Beverage Control Appeals Board, 2012- present; President, Sacramento Public Policy Foundation, 2010-present; President, St. Hope Endowment, 2008 – present; CEO and General Counsel, Californians Allied for Patient Protection, 1999-2007; Counsel, Joint Legislative Committee on Tort Liability, California Legislature, 1977-78; Special Counsel to Governor Edmund G. Brown, Jr. on Medical Liability, 1975-1976 and Prepaid Health Plans and Medi-Cal; 1974. Consultant on Medical Malpractice, Assembly Leadership, California Legislature, 1976-78; and State Inheritance Tax Referee, Alameda County, 1974-79.